gabi is using Smore newsletters to spread the word online. Clara was best known as a pioneer in the field of nursing and one of the founders of the american red cross. Clara was born on December 25, 1821,in North Oxford Massachusetts. She was the youngest of 5 children. As a child, Clara was home schooled until, she turned 15 and started teaching school. Around 1850, after teaching school for dozens of years, Clara decides to open the first free public school and become a principal. On the first day of school, Clara was disappointed that only 6 students came, but later on she had over 200 students. Then she built a new schoolhouse in the fall of 1853, unfortunately, a man was hired in her position of school principal for double the salary so Clara resigned. Reflecting from that expirence, Clara quoted "I may sometimes be willing to teach for nothing, but if paid at all, I shall never do a man's work for less that a man's pay." On April 12, 1912 Clara died at her home in Glen Echo, Maryland. 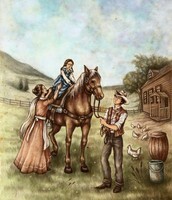 In this picture Clara is riding her beloved horse while her sister helps her to be safe and not fall. David, her brother makes sure her hose doesn't run away. 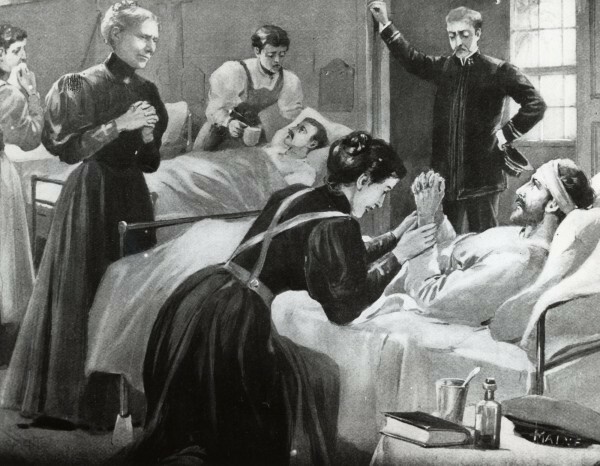 In this picture of 1898 in a Cuban hospital, Clara watches Red Cross nurses at work during the Spanish-American war. 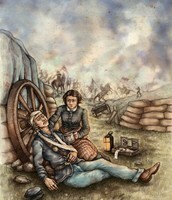 In this picture Clara is on the battlefield healing a wounded solider after founding the Red Cross. 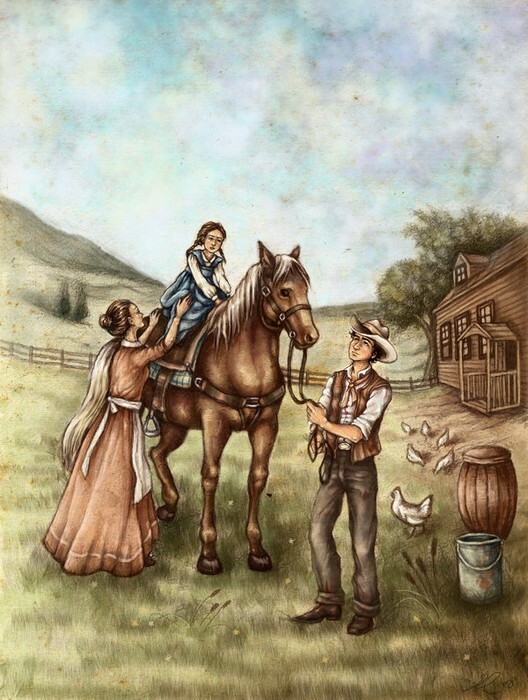 In her spare time, Clara would love to ride her horse, the horse that her brother, David Barton, taught her to ride. Clara was a vegetarian and she loved having pets, her first pet was a dog named Button. Overtime she developed an attraction to felines, she painted a portrait of her beloved cat, Tommy. Clara's favorite color was red and she never married anyone or had children in her entire life. 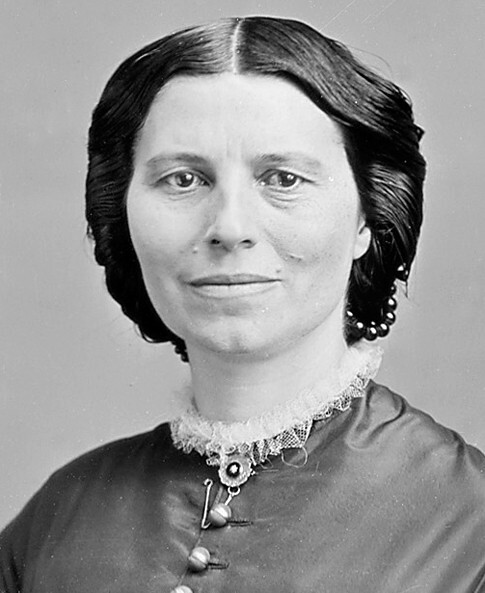 Clara was against slavery, she believed in equal rights for all people, she agreed with many leaders from the women's right movement such as Susan B. Anthony. Clara was also friendly with many 19 century African-American leaders including Elizabeth Hyde Botume and Fredrick Douglas. One of her major accomplishments in life was teaching children and interesting them in new things. Clara and her parents attended the Universalist church in Oxford, Massachusetts,they believed in God and prayed. Another major accomplishment of Clara was founding the American Red Cross. since Clara was against slavery she worked as a nurse for the union. July 1861- Clara was asking for some supplies for the wounded soldiers by putting up an ad in Worchester Spy. She got some really good responses. Then she put up a care center for the wounded. 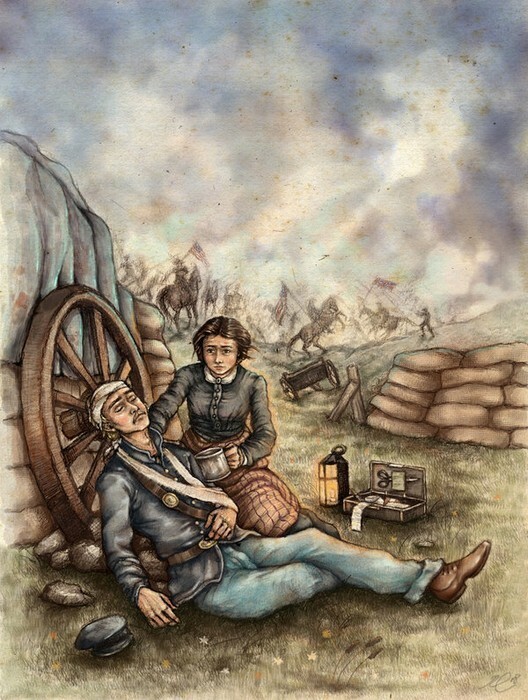 august 9,1862- Clara went to her first battlefield to help the wounded, she spent two days and nights tending the wounded. 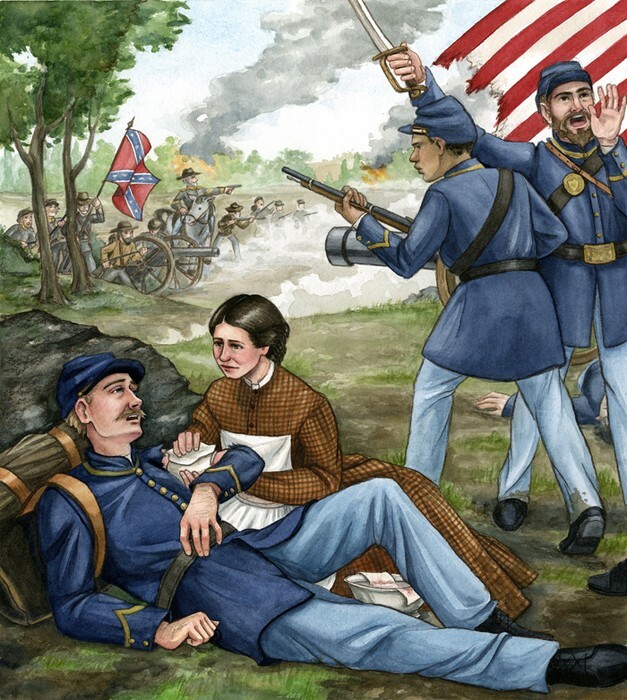 September 1862- when Clara was on the battlefield healing a wounded solider on the battlefield of Antietam, a stray bullet hit her sleeve on her dress. Luckily, Clara was fine but the bullet trespassed her and killed the wounded solider. 1865- after a lot of soldiers go missing, Abraham Lincoln gives Clara permission to look for them. Clara established an office to look for the missing soldiers and ended up finding 22,000 lost soldiers. 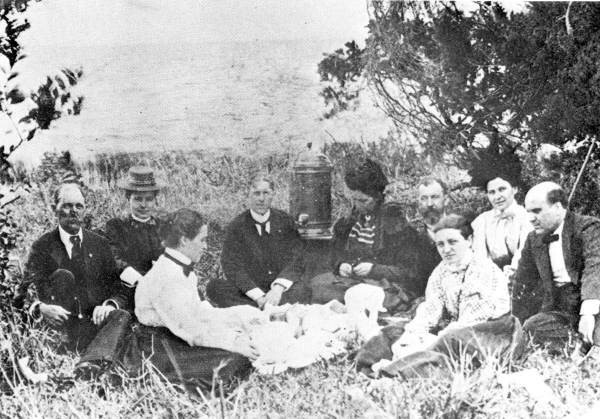 In this picture Clara and her friends from the Red Cross are outside enjoying a picnic on a nice day in 1898. 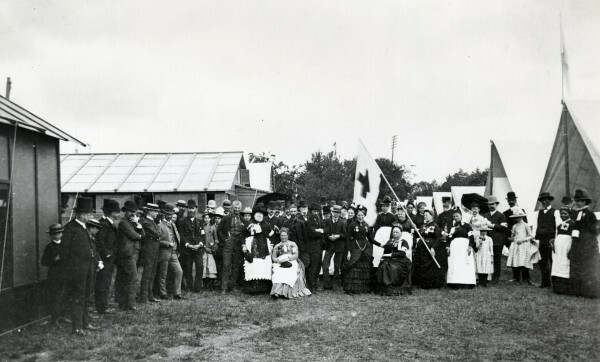 In this picture Clara(standing in front of the flag) was invited to direct the camps hospital of the national guard camp in May,1887. 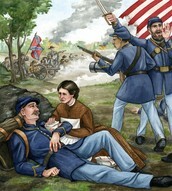 In this picture Clara stands by a wounded solider and helps him during the Civil War. 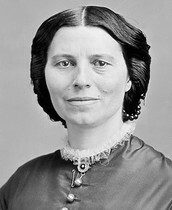 Watch a short biography video of Clara Barton, the founder of the American Red Cross.